The E. coli, salmonella and norovirus outbreak dramas at Chipotle have caused concern for consumers and delivered a shock to the company’s stock price. The burrito chain known for “Food with Integrity” apologized and promised reforms of how it processes and prepares food. But the multiple foodborne-illness incidents cast doubt on the brand and the wholesome image it has worked so hard to create. Regaining consumer trust will be difficult. For a company that marketed itself on transparency, Chipotle still hasn’t been able to determine what exactly happened. It is, however, opening up about precisely how it plans to make changes, down to details such as putting onions in boiling water or dicing tomatoes in centralized food-processing facilities. In time, if there are no further illnesses tied to Chipotle, customer trust may come back. But there’s another issue at Chipotle: Its animal welfare policies. Certainly, the company says its animals are treated well. But some consumers may now be reluctant to give it the benefit of the doubt. Chipotle’s rating on the YouGov BrandIndex, for instance, fell from a net positive to a steep negative following one of the outbreaks. 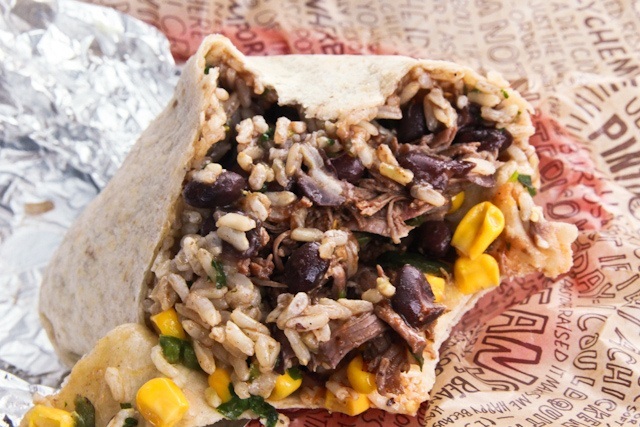 Given Chipotle’s situation, there’s an easy solution: Turn to third-party verification. Just as Chipotle hired outside food safety consultants to help improve its food safety, it should turn to outside experts to demonstrate to the public that its animal wellbeing standards are similarly well-founded. Customers generally don’t trust corporations to evaluate themselves, and for good reason. It’s an obvious conflict of interest due to profit incentives. You wouldn’t trust Ford to certify that its cars were better than Toyota’s — you’d rely on a neutral observer with clear standards. That’s why the popularity of third-party humane certification has increased dramatically in recent years. Before it went mainstream, Chipotle recognized and marketed on the humane treatment of animals. Many other food providers have since joined in; this year alone has seen major brands like Taco Bell announce that they will only serve cage-free eggs in the future, for example. But Chipotle has maintained unverifiable standards. The company does disclose what it looks for from producers on its website. But there’s no way for consumers to know whether that’s really the case. While Chipotle may have been given the benefit of the doubt in the past, it’s not getting a free pass any longer. Consider one incident from the past year. Last January, Chipotle said it was dropping a major pork supplier due to animal welfare concerns, even though this would mean a shortage of carnitas at a third of its restaurants. The positioning seemed to put Chipotle on the moral high ground: It cared so much about the issue that it was willing to forgo pork sales. But a report surfaced that the real reason was more circumstantial: The pork farmer didn’t want to give outdoor access to his hogs, as Chipotle wanted, because it would have exposed them to extreme wind chill and harsh winter weather. This side of the story would certainly paint Chipotle’s high-mindedness in a different light, and potentially expose its brand to more criticism. So does the fact that Chipotle has since switched to a new pork supplier in the U.K., which is hardly the “local” food that people associate with the chain. Restaurant companies are not always the best arbiters of what’s best for animals. Restaurants are trying to sell burritos and bolster their brands. That’s why third-party certification was developed. Such programs harness the expertise of farmers and animal welfare experts while avoiding conflicts of interest. For instance, the American Humane Association’s certification program, the oldest and largest in the country, is backed by a scientific advisory committee that counts veterinarians, animal scientists and ethicists as contributors. Any brand, even those regarded as socially conscious, can find themselves questioned or even under attack. It’s important for any food provider to show that they are in line with society’s values. And since 95 percent of Americans support the humane treatment of farm animals raised for food, this is an important area of concern for forward-looking companies. Chipotle has been a leader in the past, and when it comes to animal welfare, it has an opportunity to do so again.